With Christmas just around the corner you're probably already in present-buying overdrive. Well chill out, dear reader, as we have a gift suggestion that will keep the whole family, young and old, happy and entertained all Christmas Day... and you could walk away with it for free. Tick several boxes on your festive list by entering our Logo Lite competition! 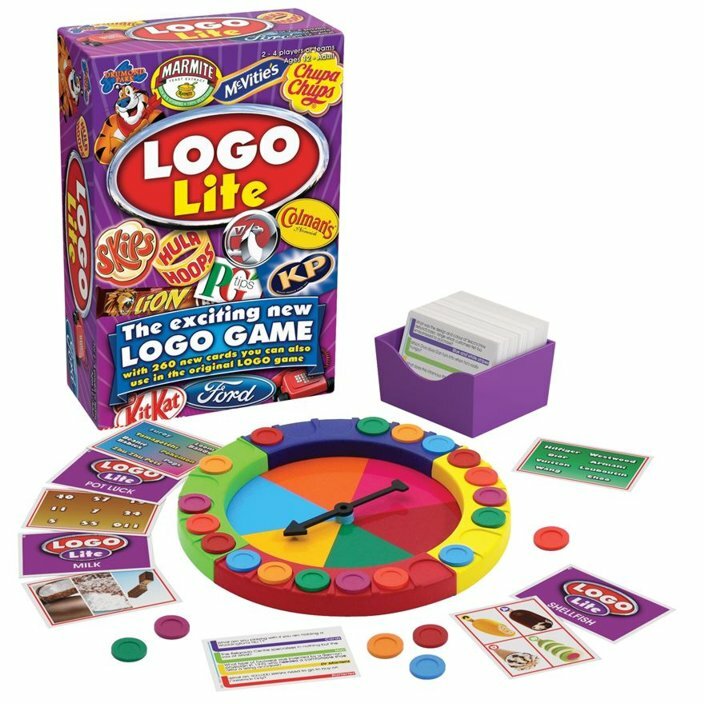 You might already have heard of Drumond Park's LOGO game, where players have to prove their brand awareness by answering quick-fire questions about product names, logos, TV adverts, and theme songs. Hey, you might as well put all that TV watching to some good eh, and if it means destroying Uncle Pete in a game during the Queen's speech, more the better! However, LOGO Lite is an even quicker version of the classic game, including 264 new question cards to pickle your noodle. Answer a question correctly (such as: “Which boys name, when added to Aston and Remy, forms two fine brands?”), then spin the wheel. Whatever colour it lands on, you take a disk of the same – get the whole set and you win! It's quick, fun, easy to learn and set-up, and ideal for everyone this Christmas. With the exception of weird cousin Kevin who doesn't watch telly, read magazines, or listen to the radio. We all know one of them. To enter simply get on Twitter and follow us (@thetestpit) and then retweet any tweet we've posted about the LOGO LIte competition before 6pm on 13th November 2015. The competition will close at 6pm on 13th November 2015 and the winners will be notified soon after. UK entrants only please. To win the entrants must be following The Test Pit at the time of the draw and have previously retweeted at least one related tweet. The judges' decision is final. For T&Cs please send us an email.